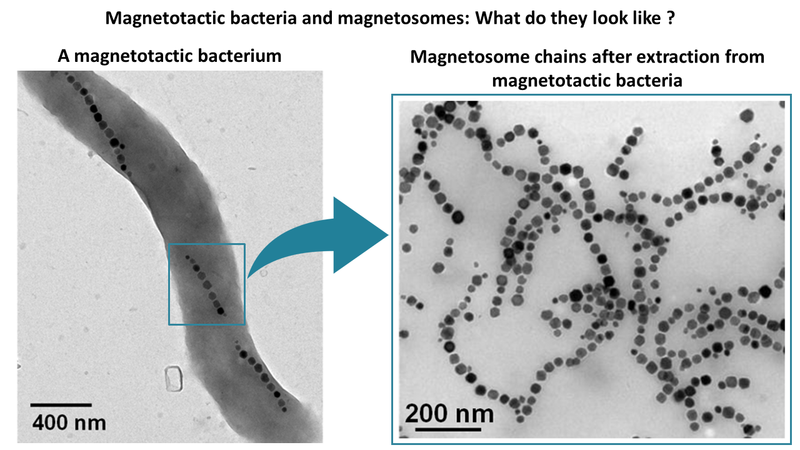 The nanoparticles developed by Nanobacterie, called magnetosomes, are produced biologically, by magnetotactic bacteria. These bacteria use magnetosomes as a compass to swim in the direction of the Earth’s magnetic field. Magnetosomes have a magnetic moment that is oriented in the direction of the Earth’s magnetic field. 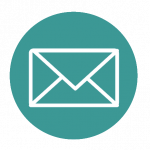 This specific orientation allows these bacteria to move parallel to the direction of the Earth’s magnetic field to swim to areas that are best suited for their development and production of magnetosomes (iron-rich and oxygen-poor regions). The two electron transmission microscopy images below show (top left) a magnetotactic bacterium containing three magnetosome chains and (top right) magnetosome chains after their extraction from magnetotactic bacteria. 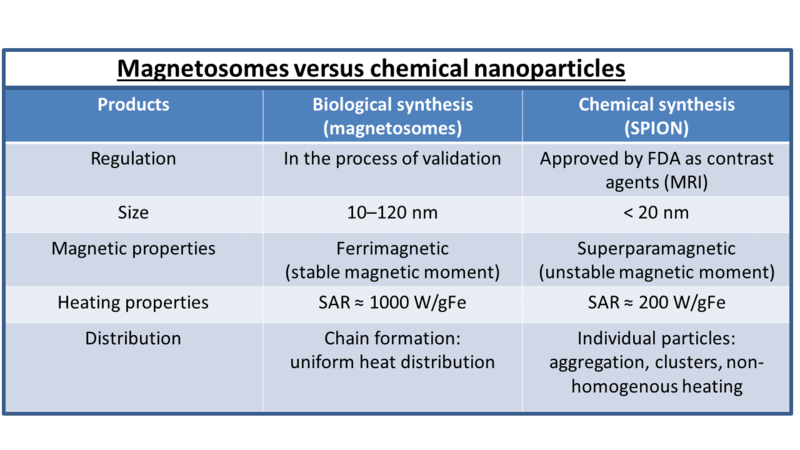 What are the advantages of magnetosomes compared with chemical nanoparticles?